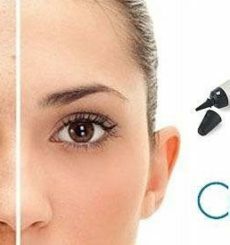 CryoPen therapy is a medical procedure that involves the application of nitrous oxide gas ejected under high pressure on to the skin. The gas is very cold which helps to freeze and destroy any benign lesions. During the application, the tip of the CryoPen reaches -89°C. The reason for this is to create a thermal shock at the region where the gas is pointed by causing a rapid drop in temperatures. The temperature drop has the effect of crystallising the fluid contents of the targeted cells, turning them into ice shards, resulting in the destruction of skin lesions as the membrane surrounding the treated cells is ruptured and destroyed. The penetration of the cold is approximately 1mm per 5 seconds of treatment, so a 2mm sized lesion would take 10 seconds of nitrous oxide gas to treat. During treatment, you may see a frost or ice-field on top of the lesion. This shouldn’t cause any worry as the frost usually goes away within a few seconds. A common technique called freeze-thaw-freeze can sometimes be used to freeze, then defrost a frozen lesion, and then freeze it again. Here, the frozen lesion is allowed to rest for 30 seconds and then a second treatment applied whereby the tissue will freeze faster second time around and destruction of the lesion is more guaranteed. After treatment, it is advisable to leave the area uncovered as this speeds up the healing process. However, your practitioner may apply a simple dressing or plaster if there is a chance that the lesion may get rubbed or aggravated in any way. Clinical data shows that the results are permanent after one or two treatments. 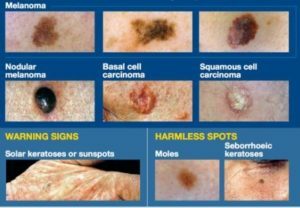 Some types of skin lesions may return in other places if you are prone to such manifestations.